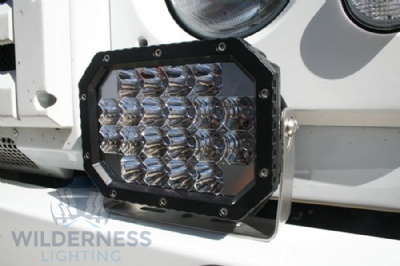 OUR QUAD LIGHT PACKS A REAL PUNCH IN TERMS OF LIGHTING, THE 7.5” LIGHT HAS AN IMPRESSIVE 4 ROWS OF LEDS IN THE TOUGH ALLOY HOUSING AND COMES WITH A HEAVY DUTY MOUNTING BRACKET COMPLETE WITH SECURITY NUTS TO PREVENT ANY UNAUTHORISED REMOVAL. The unbeatable toughness and durability of our lights means they are ideally suited for the most extreme conditions such as Agriculture, Mining, Forestry, Marine and Extreme off road motorsport. Whatever application our lights are used for they will not let you down.